Alright folks, Ford's Pursuit rated lineup just got a lot bigger, double to be exact. 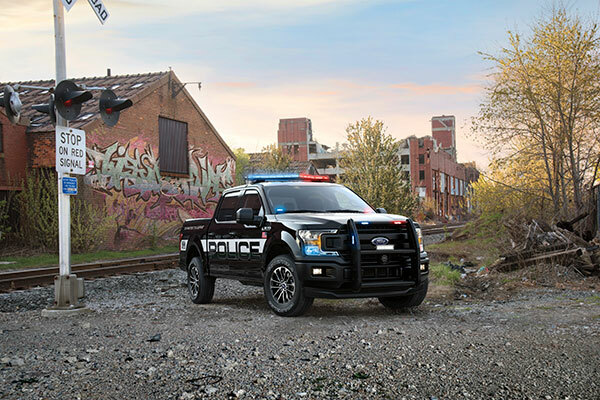 According to a recent press release, Ford is proud to announce both the F-150 Police Responder and Police Responder Hybrid Sedan are pursuit rated and ready for action. Although Ford already claimed both vehicles were pursuit rated, the actual designation weighs more on an independent agency, the Michigan State Police. MSP took both vehicles to Grattan Raceway and tortured them via 32 tire shredding, brake smoking laps. According to the Michigan State Police, both vehicles hold up to the "pursuit rated" designation making them the first hybrid and first pickup to get the beloved rating. Before you die hard Crown Vic Police Interceptor fans start yelling, we feel obligated to point a few things out. The Ford Police Responder Hybrid Sedan is both quicker and more fuel efficient that the prehistoric V-8 Crown Victoria. The PRHS (the name is a bit long) hit 100 mph in 23.1 seconds (zero to 60 mph time not disclosed yet). While the old Crown Victoria was rated at 16 mpg city and 34 mpg highway (so 8 mpg observed...), the Ford PRHS allegedly gets 40 mpg city and 38 mpg highway. You can credit these insane numbers to a 2.0-liter I-4 atkinson-cycle engine coupled with an 88-kW electric motor and 1.4-kW lithium-ion battery. Diverting our attention to the F-150 Police Responder, we are greeted with the power couple of a 3.5-liter EcoBoost V-6 and 10-speed automatic transmission. This allows the F-150 Police Responder to hit 60 mph in just 6.0 seconds, only 0.4 seconds than the fastest pursuit rated vehicle currently in production, the Ford Intercepter Sedan. The real significance of debuting two new pursuit rated vehicles is that they cater to opposite ends of the spectrum. 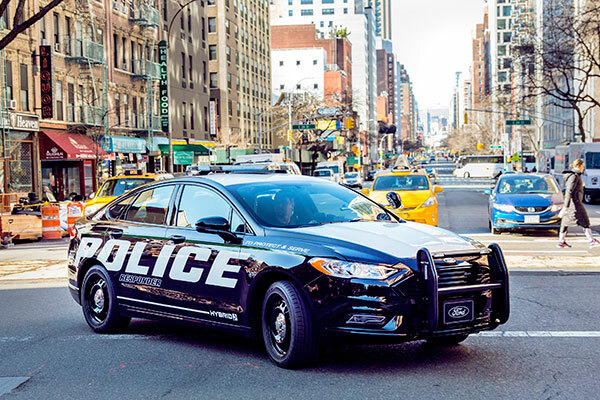 The Ford Police Responder Hybrid Sedan will thrive in city environments while the Ford F-150 Police Responder will happily traverse the more rural districts and pursue the suspect that decides to do a little off-roading. Long story short, Ford has a vehicle for every type of department.